Below you fill find all funeral homes and cemeteries in or near China Grove. 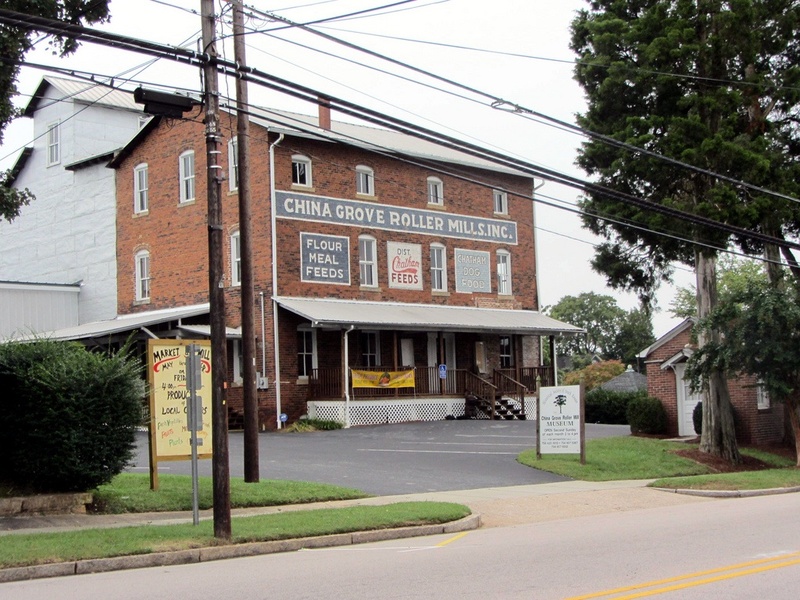 China Grove is also known as: Rowan County / China Grove town. Zip codes in the city: 28023. Rowan County funeral flowers can be purchased from one of the local funeral shops we partner with. Some of the notable people born here have been: Tommy Barnhardt (american football player). It was reported on December 1st, 2018 that Sherlyn Annette Shrewsbury (Ferguson) passed on in China Grove, North Carolina. Ms. Shrewsbury was 65 years old and was born in Pearisburg, VA. Send flowers to express your sympathy and honor Sherlyn Annette's life. It was reported by Statesville Landmark on December 23rd, 2017 that Caroline Morrow (Adams) perished in China Grove, North Carolina. Ms. Morrow was 78 years old. Send flowers to express your sympathy and honor Caroline's life. It was noted by Statesville Landmark on May 17th, 2017 that Lyndall Campbell (Wood) perished in China Grove, North Carolina. Ms. Campbell was 69 years old. Send flowers to share your condolences and honor Lyndall's life. It was written on May 17th, 2017 that Walter Glenn Isenhour passed away in La Grange, Kentucky. Isenhour was 87 years old and was born in China Grove, NC. Send flowers to express your sorrow and honor Walter Glenn's life. It was reported on April 16th, 2017 that Alfred Edwin Gynn died in China Grove, North Carolina. Gynn was 75 years old and was born in Ashtabula, OH. Send flowers to share your condolences and honor Alfred Edwin's life. It was reported by Centralia Sentinel on January 4th, 2015 that Madeline Evans Blake (Causey) perished in Mt Vernon, Illinois. Ms. Blake was 93 years old and was born in China Grove, NC. Send flowers to share your condolences and honor Madeline Evans's life. It was revealed on September 13th, 2013 that Sheree Lynn Dodson (Carroll) died in China Grove, North Carolina. Ms. Dodson was 58 years old and was born in Bluefield, WV. Send flowers to share your condolences and honor Sheree Lynn's life. It was noted on August 21st, 2013 that Phyllis Ann Wise (Brown) died in China Grove, North Carolina. Ms. Wise was 77 years old. Send flowers to express your sympathy and honor Phyllis Ann's life. The town is located just north of Kannapolis, NC and south of Salisbury, NC. The population was 3,616 at the 2000 census. China Grove is a town in Rowan County, North Carolina County, North Carolina, United States. . . The official website for the city of China Grove is http://www.chinagrovenc.gov/. Mrs. Wayne is survived by her husband, Claude, her three sons, Delmar and wife Nina, Eric and wife Tammy, both of China Grove, Keith and wife Michelle ... 920 Church Street N, Concord, NC 28025. Here are the results for funeral homes in China Grove North Carolina. You can find some of the best funeral homes businesses serving China Grove. Listing all funeral homes in China Grove, North Carolina so you can easily send flowers to any location (same day delivery) or find any funeral service. Find BBB Accredited Funeral Directors near China Grove, NC - your guide to trusted China Grove, NC Funeral Directors, recommended and BBB Accredited businesses. Find a Funeral Home inChina Grove, North Carolina NC to provide the caring burial and ceremonial services your family deserves. Linn-Honeycutt Funeral Homes, China Grove, NC : Reviews and maps - Yahoo! Local, 704.857.2401. Get Ratings, Reviews, Photos and more on Yahoo! Local. Find funeral homes in China Grove, NC using the funeral homes directory. Search for China Grove funeral homes at Caring.com. We work with local florists and flower shops to offer same day delivery. You will find budget sympathy flowers in China Grove here. Our funeral flowers are cheap in price but not in value.